Ariane Nicole Waller is a wife and mother of two. She resides in the beautiful Flathead Valley in Montana. Ariane is a Clinical Therapist whose passion is to support others in feeling beautiful inside and out so they can truly live their best life. 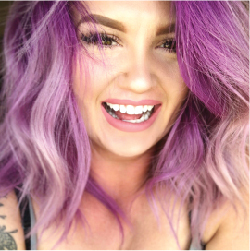 Ariane established The Mermaid Brigade in 2018 after joining LimeLife by Alcone in 2017. The business completely changed her life, allowing time freedom to be with her children and provide the life she dreamed of.